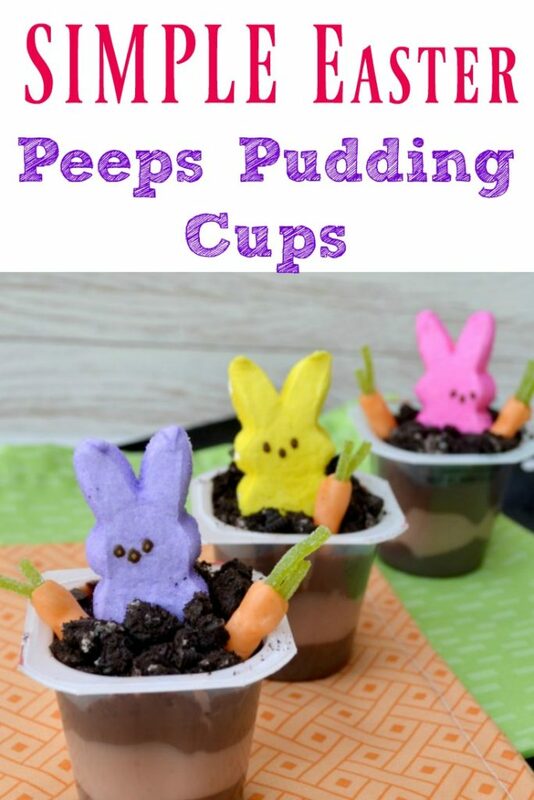 Quick and Easy Peeps Oreos Pudding Cups – Great for Spring and Easter! I was outside with Ruger yesterday and I noticed we have little patches of green grass popping through the ground! It made my heart so happy, I can not tell you how happy I am about Spring coming. We have had a long cold winter with lots of snow! I know their are lots of states who have ran into the same issue, so for me this year I am gonna enjoy the nice cool Spring weather a bit more this year!! 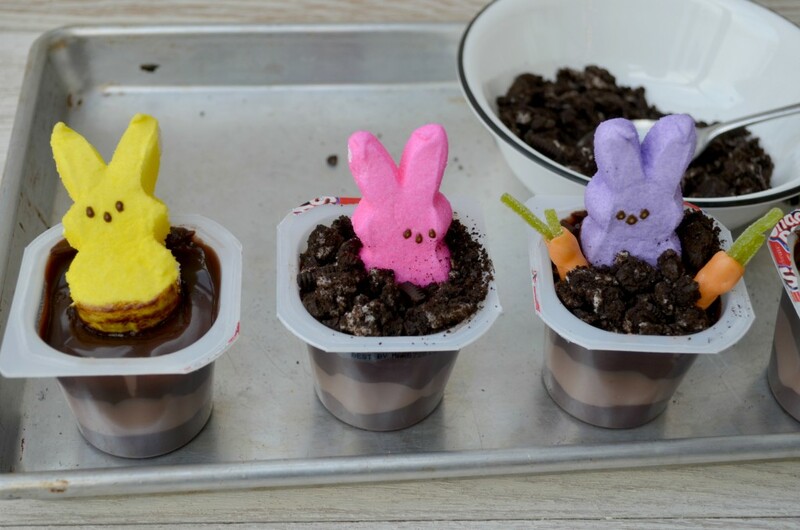 Here is a fun and easy tutorial on how to make these adorable Easy Marshmallow Peeps Oreos Pudding Cups! These are perfect for Spring time treats, or to have for Easter!! I am loving the Bunny Peeps. I think they are so stinking cute it isn’t even funny! This recipe is really easy, and you can make just one of them or twenty, the choice is up to you!! I shop online for the ease of things. I find that living in a smaller town my store doesn’t always carry what I want. 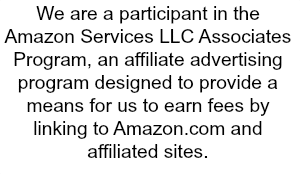 So I buy from Amazon a lot, I am a Prime Member so I get 2 free day shipping! I also love how I don’t have to get out of the house and can lounge in my pajamas! The first step is to make the candy carrots. Cut your orange starburst in half, make one end pointed and flatten the top part. Add a green candy Rips to the top part that is flattened and wrap it around the Rips to form a carrot shape. Crush one Oreo for every pudding cup, I put them in a bag and smash them with a soup can or use a rolling pin. Open your pudding cups, place a Peep in the middle of the pudding cup. 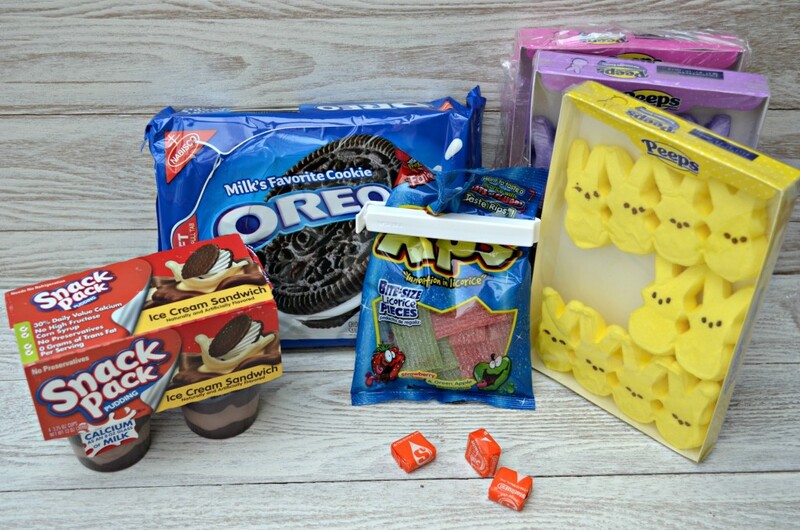 Sprinkle the crushed Oreos around the peep and then add the candy carrots. That is all it takes to create these adorable sweet treats!!! These would be really fun to make for a party at school or just for an after-school snack!! I hope you all enjoy this fun recipe!!! What a cute idea. I never would have thought of that. Adorable & Easy? YES Please! I love these! Great idea! An awesome and cute idea. The kids would love this! So, so cute and the candy carrots are a genius addition. HAHAH those are super cute and easy! 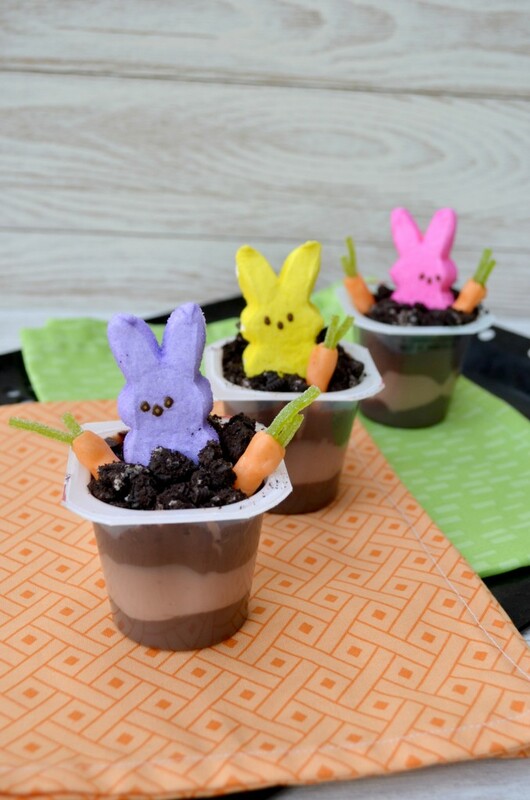 I love pudding cup ideas, thanks! Very cute! I love this fast and fun holiday treat! Those are adorable, and I totally want to make them for my kids. I am heading to pin this. that is just too adorable. i bet my toddler would have fun helping with certain steps too! pinning for later! That’s so cute! Looks just like a little garden! This is such a fun idea! I’ve seen dirt desserts before but never using regular pudding cups! These are super cute!!! I love the carrots. 🙂 What a treat. oh my goodness that is so adorable, my kids would love this! This is a cute idea. I love the little carrots! Cute! Cute! Cute! I especially love the way you made the carrots. I never would have come up with that idea, I’m so glad you did. I’m going to surprise my kids with these sometime between now and Easter. Those are so cute! I love your idea with the candy carrots. My kids would flip if I put these adorable and yummy treats in front of them! Aww, those are cute! I love peeps! Starbursts!!! What a great idea. 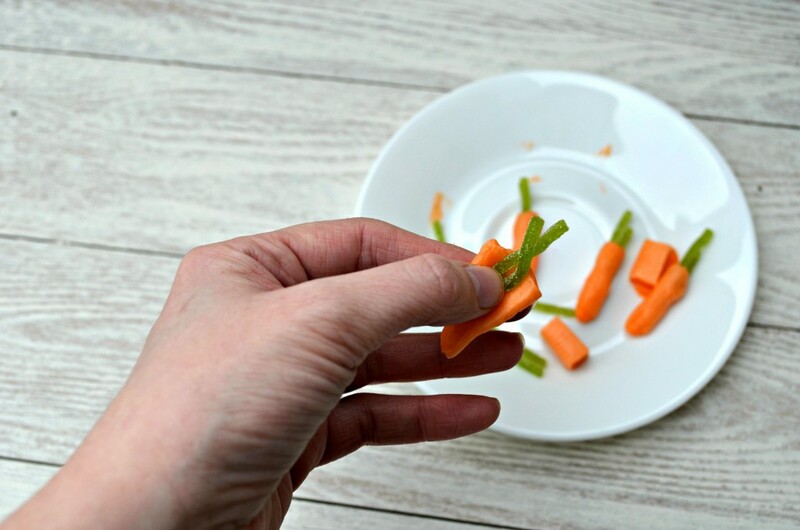 I woulda made them with real baby carrots and made my guests suffer. What a lovely idea for the Easter! I’m sure the kids will love this! Very cute, fun, and easy for the holiday! LOVE!!! Pinning! Thanks for sharing this cute idea!. Gonna give it a try for my grandkids!